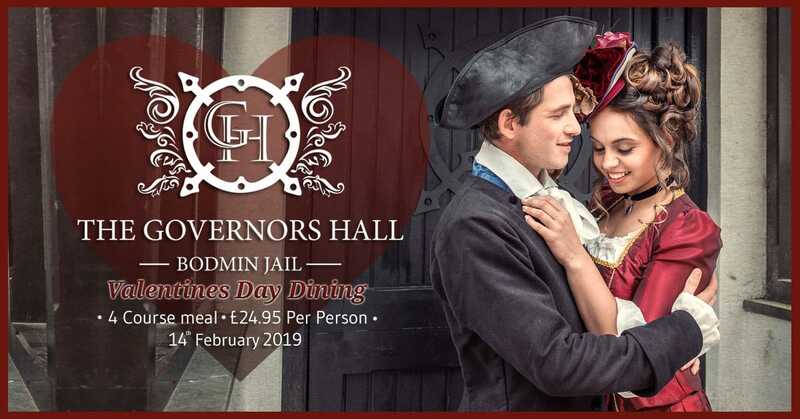 Treat yourself and the one you love to a romantic meal at Bodmin Jail’s Governors Hall restaurant. We will be serving our delicious 4 course menu from 6-9pm. Booking is essential to avoid disappointment: please call 01208 76292, email events@bodminjail.org or book online. Food Allergens: We ask that customers advise us at the time of booking of any dietary requirements, or known allergies.